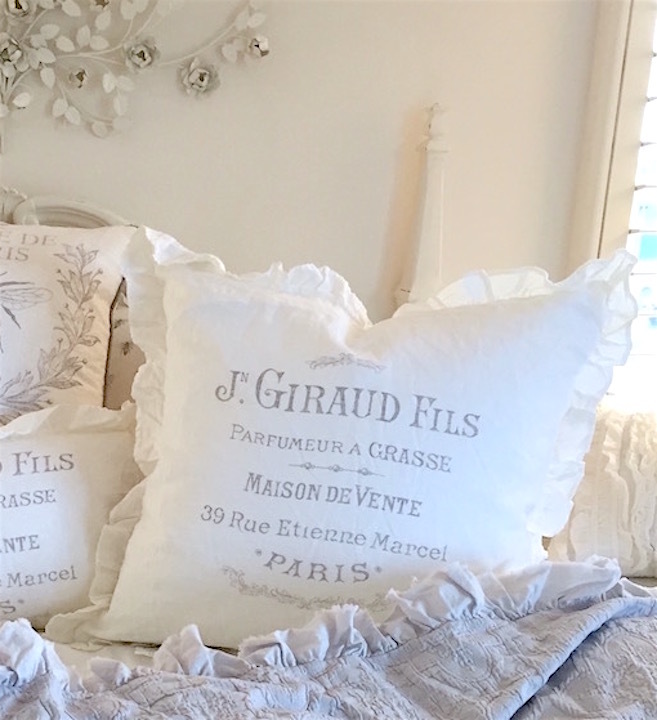 French Cottage white linen ruffled pillows with dove gray French Script on pure white with a ruffle around the edge (square French Bee pillow does not have a ruffle)! Very French Market Cottage Farmhouse shabby chic! 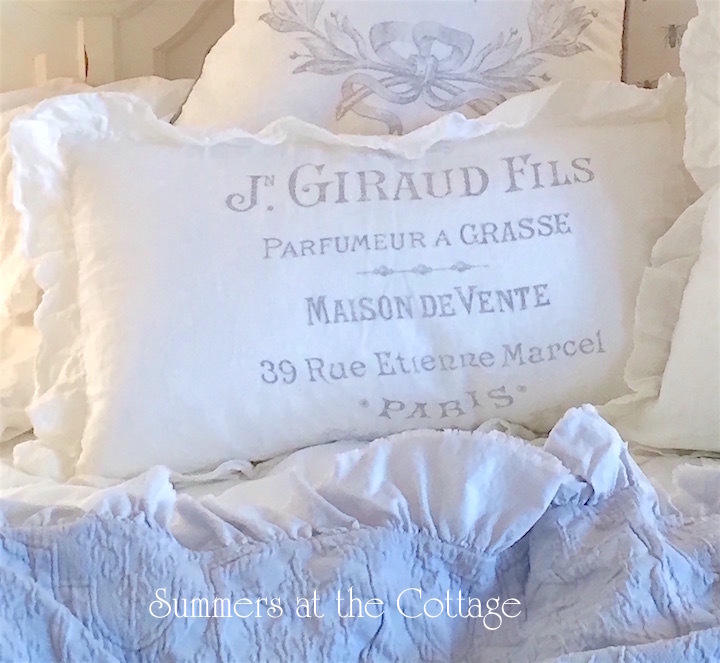 Long rectangle white linen ruffled French script pillow measures 14 x 24 inches. 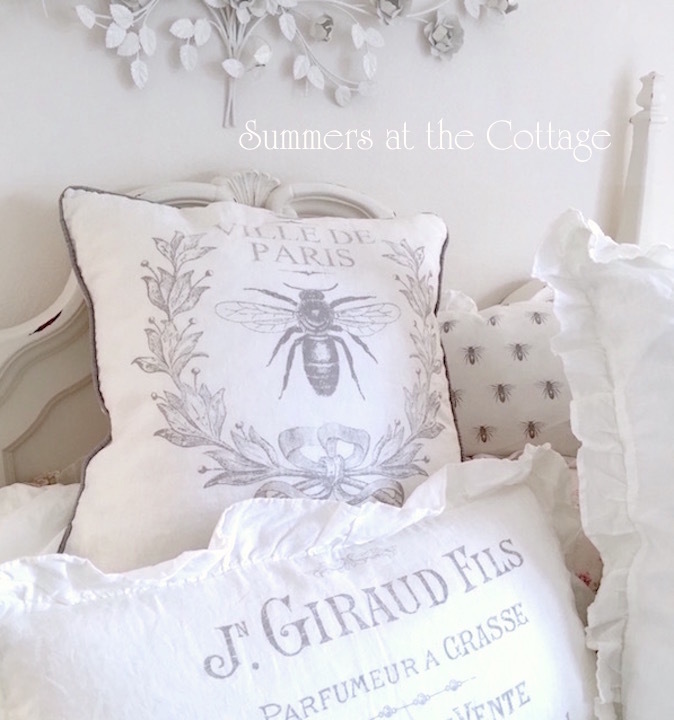 Square French Bee white linen pillow measures 20 x 20 inches. 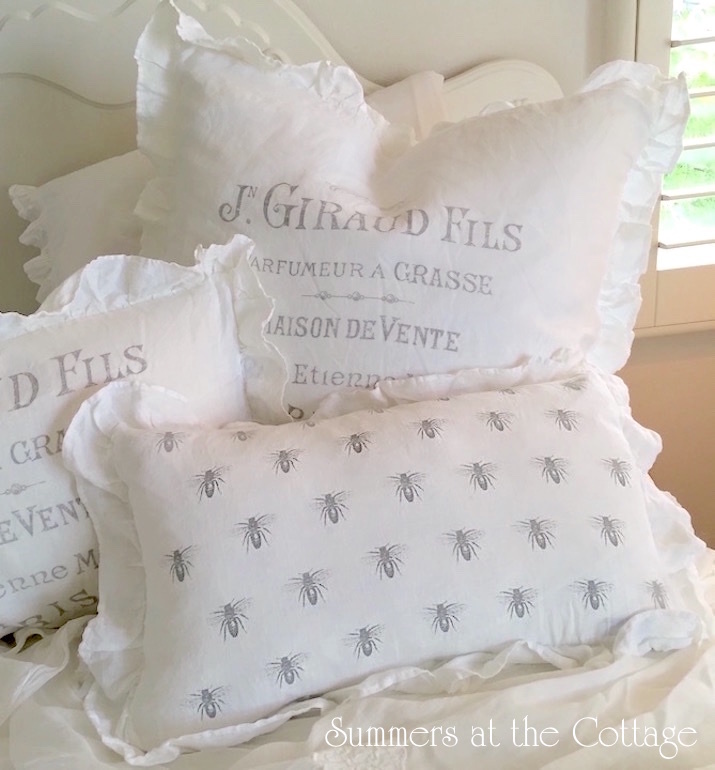 French Bees ruffled white linen pillow measures 12 x 20 inches. Set of 2 white linen ruffled French script Euro Shams measure 26 x 26 each. Down/feather inserts included with pillows. Euro shams do not include insert. Hidden zipper closure. Linen cotton fabric. Absolutely gorgeous!